Pitching inbound marketing software to your risk-averse boss can make even the most stoic Marketing Manager perspire. You’re effectively selling what’s seen as an outlandish service, compared to good old-fashioned marketing. How can you convince your boss to invest? 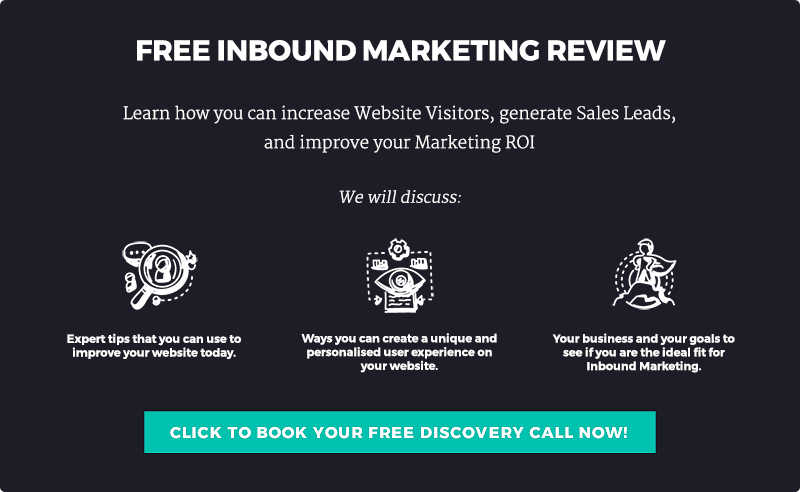 These proven HubSpot benefits will help. Use them to build a case for inbound marketing as Miracle-Gro for their business. The problem often lies within your marketing strategy. When you rely on outbound marketing, such as direct mail, cold calling and paid adverts, you might not be delivering enough value to your customers. It’s impersonal and misdirected. HubSpot helps you craft, optimise and distribute content that attracts lucrative leads and nurtures them throughout the entire buyer journey. The leads HubSpot draws in will be 100% organic (but you can track paid leads). That’s the beauty of inbound marketing. It guides people to you naturally, attracting users who love your content and can see it at a time that suits them. In one year, customers reached 3.5 times more leads per month, according to HubSpot's annual ROI report. They experience this because once you’ve set up workflows properly everything clicks together. We explain why in our blog: Using HubSpot Correctly: Maximising Your Account Potential. No more disappointing numbers for website clicks and page views. Imagine if you could say that to your boss and really mean it! With HubSpot, you can make it happen. Are you always wondering what the sales team are getting up to? Which customers have they called about your new offer? Which leads have been closed? You get the information eventually. But your job would be a lot easier if you had immediate access to critical customer data — something HubSpot provides. On this platform, you can give teams access to as many hubs as they need. So both sales and marketing can view all your business contacts, and understand which part of the buyer funnel each user is in. The marketing team know what content should be sent to who and when. And the sales team know who to email or call at the right time. The customer experience becomes fluid, faster and more personal because sales and marketing help each other. Would this appeal to your boss? Less time playing the guessing game means employees can focus on driving customer engagement. Sales teams gain the extra time to strengthen customer relationships and shorten the sales cycle. Marketing teams can concentrate on producing quality content and generating high-quality leads. The result: your revenue will grow! Customers buy from brands they trust. Getting people to trust you takes time, but HubSpot make it quicker and easier. It’s about you consistently delivering value to prove your worth, engaging with customers on a personal level, and creating meaningful relationships with new leads. Say a customer visited your business’s blog twice. The platform automatically notifies you, so, if the visitor has downloaded a resource, you can follow up via email asking what they thought of the resource, and offer them something else. This is a supreme tactic to drive value and nurture a contact. You can also access dashboards for Twitter, Facebook, LinkedIn and Instagram on the platform. Here, holding one-on-one dialogues with social media users is seamless, and you can quickly send them relevant content to keep them hooked, since HubSpot can automatically post your blogs. Through your social media tabs, you can also listen to what your customers are talking about. You can understand what they need from you, translate this into your content and connect with them on a personal level. Likewise, sales can effortlessly nurture customers one-on-one via telephone or email thanks to instant access to contact details. Plus, lifecycle stages are updated via activity triggers, so the sales team are always getting the best quality leads. With HubSpot, you can understand your audience on a deeper level. You learn about what they need and want because you measure their responses to your content. This is all achieved through HubSpot analytics. Via this dashboard, you get versatile reporting tools that give you detailed engagement levels across all your customer touch-points (such as social media or email marketing). You can also import your business contacts on to the platform’s free customer relationship management system (CRM). This way, the sales team can access critical lead insights. For example, salespeople can see detailed interactions between a contact and your website in a single place, including page views, form submissions, sales activity and more. This is the area where HubSpot shines. Anyone with basic IT skills can captain this ship: it just takes a little training, and you’re good to go. More sales, more revenue, bigger budgets - it all leads to further growth and success. HubSpot is your best friend for increased revenue. It helps you direct prospects away from competitors and towards your door. To get awesome results for a small or medium-sized business, you’ll probably need HubSpot's ‘Professional’ package which costs £655 per month and includes 1000 contacts. Or if you work for a behemoth business, you’re looking at £1,960 a month for HubSpot’s ‘Enterprise’ package. 67% of customers who responded to a HubSpot survey saw an increase in sales revenue within seven months. 83% of the customers saw an increase in lead-to-customer conversion rate. And in a study by an MIT Sloan MBA student, Hubspot users’ average two-year growth was seven times higher. This is why HubSpot saves you money in the long-run: Everything you need is on one platform. In addition to marketing automation, users can access a free CRM and sales tools without spending more money on other applications. It also saves you time (and more dough): without HubSpot, you’d be switching from one platform to another for every task: scheduling socials and emails, hunting down customer details, writing content, updating your website… all those different logins and setting adjustments gobbling up your time. You might need to dig out some case studies to reinforce the economic benefits to your boss. But a financially-savvy leader should see the light. Can You Pitch HubSpot as Marketing Miracle-Gro? Yes, but only if you put in the work. It takes a little bit of training and a lot of attention (especially at first when setting up workflows) to maximise the platform’s potential. BUT once you’ve done that you’re set to reap awesome rewards. You’ll be able to get the results needed to succeed AND make your boss crack a smile. Saying that, we know it’s a considerable commitment. If you want to know exactly how much HubSpot costs compared to similar tools on the market, give this a read.